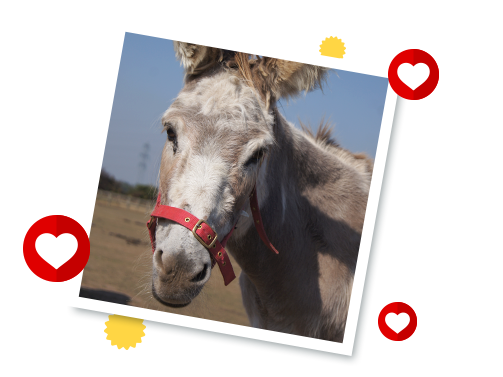 Denise was a very cheeky skewbald donkey, who was rescued in 1996 as a week-old foal. Her mother had developed mastitis and was unable to feed her so the veterinary nurses and centre staff took in it turns to bottle feed her morning, noon and night. As you can see, she grew-up to be a happy donkey who certainly made her presence known at her home at Redwings Caldecott! Unfortunately, Denise began to struggle to maintain her weight following a diagnosis of Cushing's disease and and had issues with her teeth. Despite treatments and lots of TLC, her condition took a sudden downturn in 2018 and she was sadly put to sleep. We'll never forget this characterful little donkey.